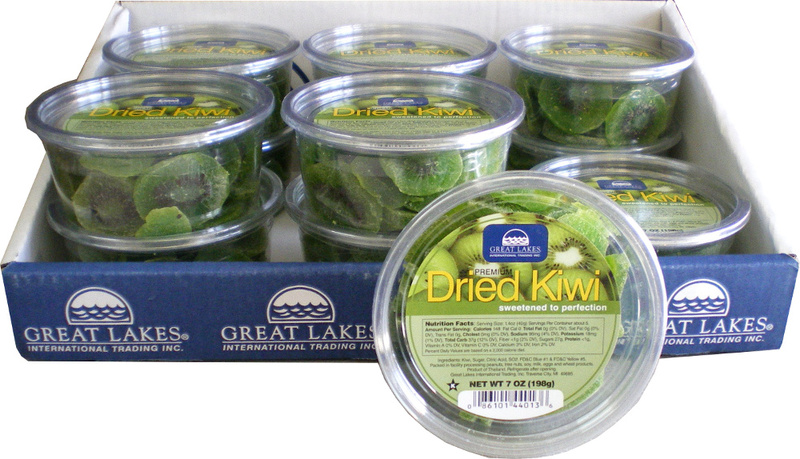 Dried Kiwi: 7 Ounce Tubs « Great Lakes International Trading, Inc. 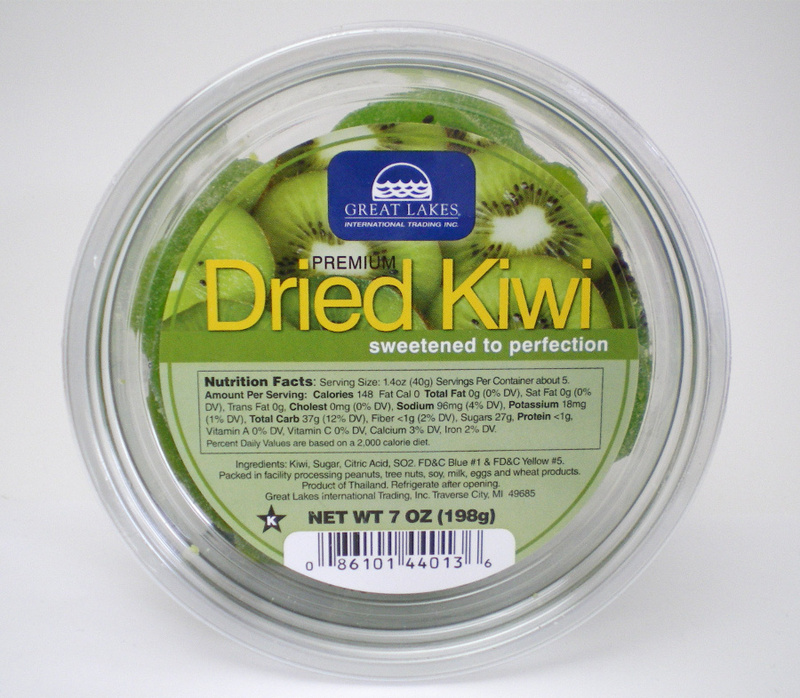 Delicious Dried Kiwi in an attractive re-sealable clear plastic tub. Great for a tasty, colorful and fun snack! The tubs are labeled with complete nutritional data, UPC code and Star-K’s kosher logo. UPC code #0-86101-44013-6. Great Lakes item #493. GTIN #1008610144013-3. Each carton contains 12 x 7oz. net weight tubs. Each carton measures 19 3/4″ x 10 1/2″ x 7″. The gross weight per carton is 7.25 pounds. There are 100 cases per standard 40 x 48 pallet.